Vero Beach authorities investigate a smoking backpack. 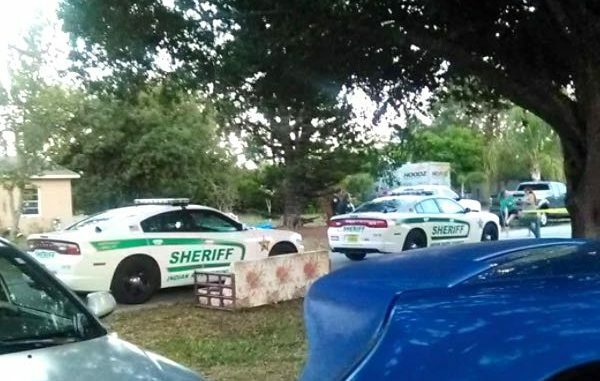 VERO BEACH – On Sunday, the Indian River County Sheriff’s Office responded to a home in Vero Beach about a drug incident. Deputies made contact with the Vero Beach victim who said she was cleaning her daughter’s bedroom where she found a blue West Virginia University backpack in the closet. The victim’s daughter left the residence a couple of days prior because of some drug issues. As she picked up the bag, she noticed it had smoke coming from it. The victim then opened the bag, and heavy smoke poured out. Inside the West Virginia backpack was a small blue cooler from which the smoke was coming from. The victim removed the bag from the home and set it outside. While doing so, she inhaled some of the smoke and had a chemical taste in her mouth. She also complained of a “really bad headache,” according to the report. EMS and fire units arrived at the scene and evaluated the victim. She was transported to the hospital. While on scene, the fire unit went through the residence for any other chemical issues in the Vero Beach home. The home was later cleared. The sheriff’s office then turned the investigation over to the Drug Enforcement Administration (DEA). The DEA determined that the cooler was a methamphetamine processing device.